She’s strong because being weak is not an option. She’s brave because she must face her struggle head on. She stands firm in her own power and inspires the world. Give this necklace as a gift to let her know you see her, you support her, and you believe in her. Or gift yourself as a reminder of who and what you are. 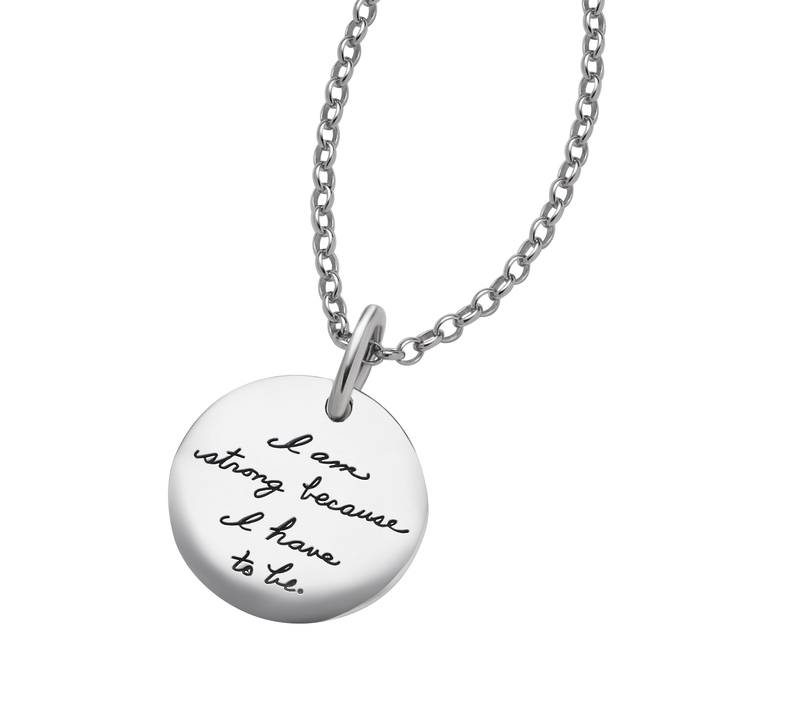 The sterling silver circle carries intense meaning. The ancients believed the circle represented a woman’s innate force and power and imbued her with wholeness and strength. The credited silver with deflecting negativity and often wore it for protection. The distinctive script and hand-polished shine will encourage whoever wears it to stay strong no matter what happens. This pendant is available with an 18” sterling silver chain or an adjustable black cord.